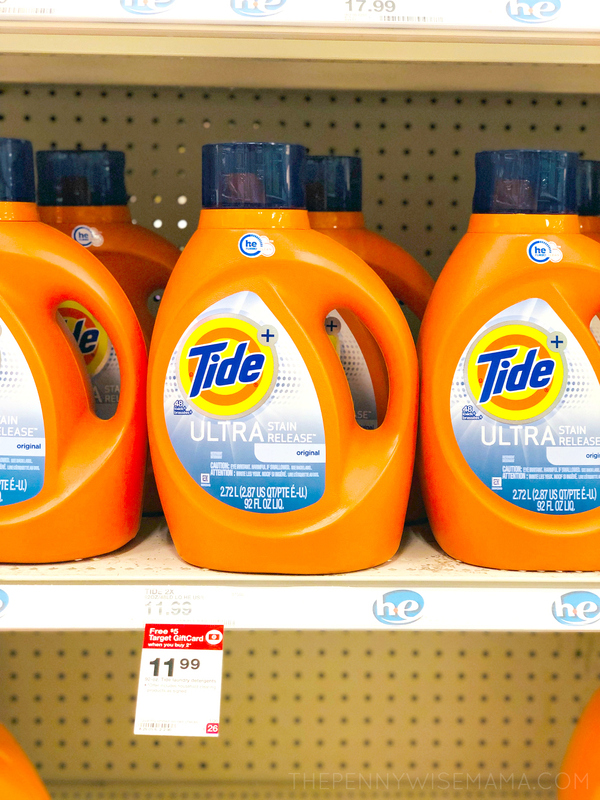 The Tide laundry detergent deals just keep coming! If you missed the $3 off Tide PODS coupon last week, you’re in luck. Tide has released not one, but TWO hot coupons this week! 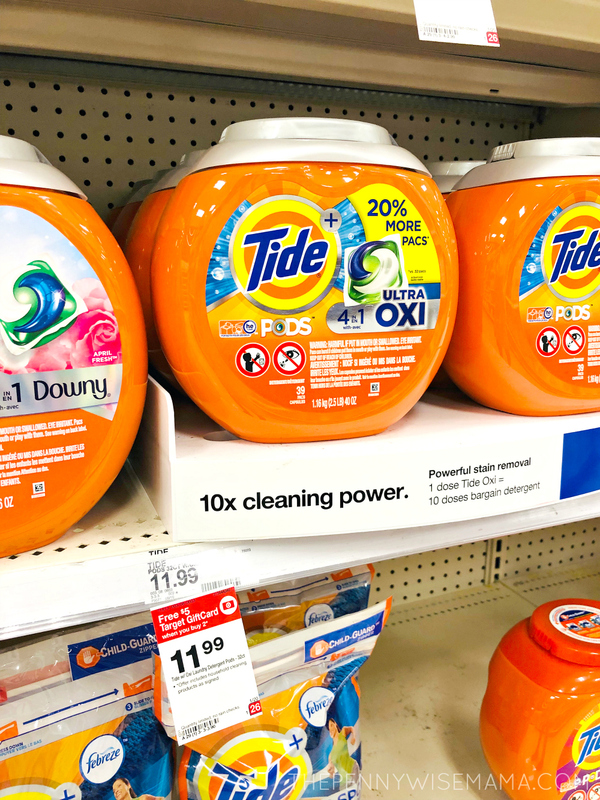 Now through February 2, Tide is offering a $3 Tide PODS coupon AND a $3 Tide Detergent coupon that can be redeemed nationally across all retailers. The offers cannot be stacked. Check out the details for each coupon below! Have you tried the NEW Tide PODS 2.0? They have been upgraded with better stain and odor removal power. 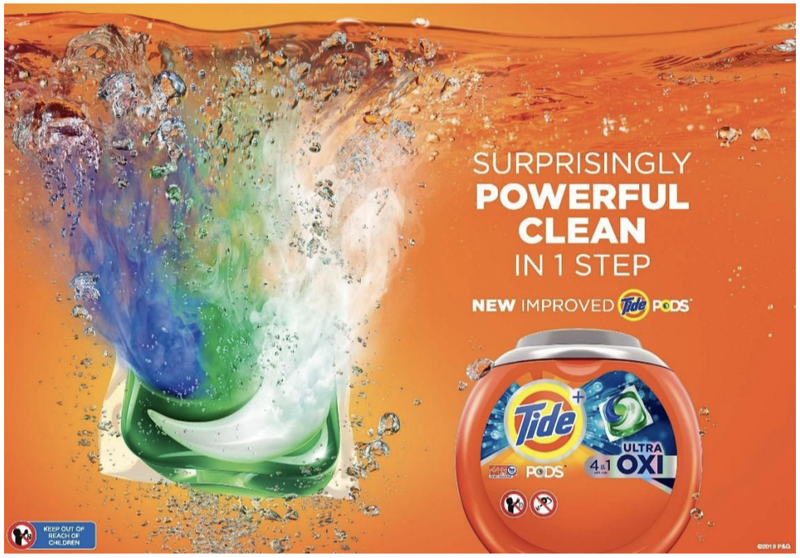 Featuring 4-in-1 technology — detergent, stain remover, color protector, built-in pre-treaters — Tide PODS are ranked #1 Stain Removal*, #1 Odor Removal*, #1 Trusted**. Try the new Tide PODS and save with this $3 off Tide PODS printable coupon. The coupon is good towards ANY Tide PODS variant (excludes Tide Liquid/Powder Laundry Detergent, Tide Simply, Tide Simply PODS, and Tide PODS 9 ct and below, and trial/travel size) and can be redeemed nationally, across all retailers through 2/2. I recommend trying the NEW Tide PODS® Ultra OXI Laundry Detergent. With 10x cleaning power* and built-in pre-treaters, Tide PODS® Ultra OXI removes even the toughest stains. You can get a tub of Tide PODS® Ultra OXI Laundry Detergent with 20% more PODS (39 ct) for just $8.99 at Target when you use the $3 off Tide PODS coupon. That’s just $0.23 per POD! Plus, get a FREE $5 gift card with pickup or Target Restock when you buy two (select varieties only). For those of you who love Tide liquid detergent, you can save with this $3 off Tide Liquid Detergent coupon. 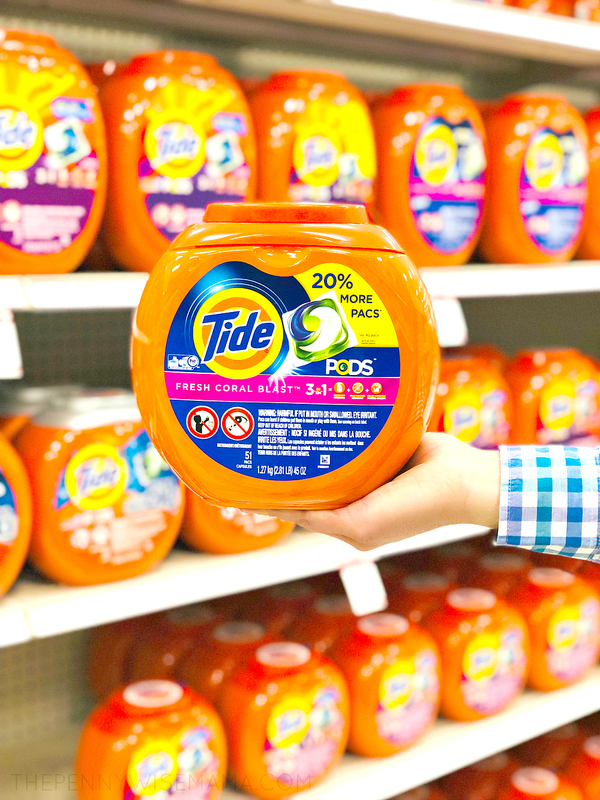 The coupon is good towards ANY Tide liquid detergent variant (excludes Tide PODS, Tide Simply, Tide Simply PODS, Tide Detergent 10 oz and trial/travel size) and can be redeemed nationally, across all retailers through 2/2. 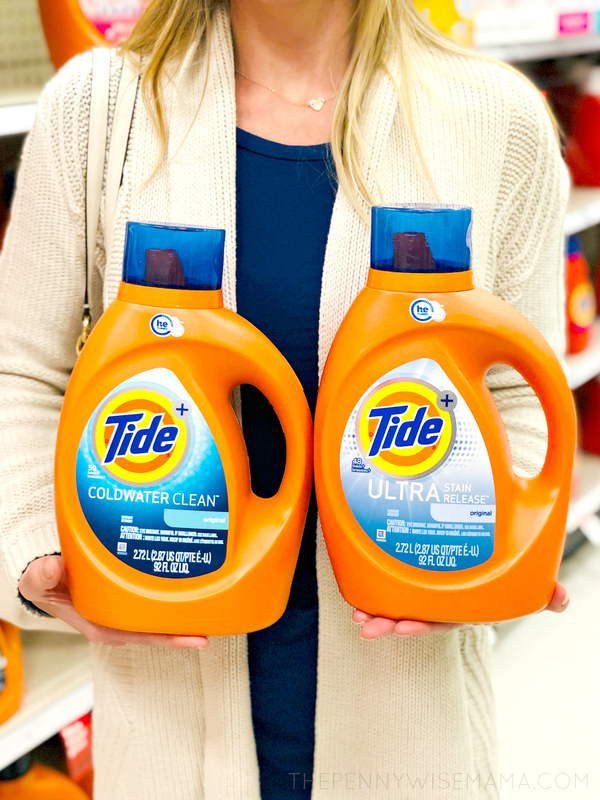 Tide Cold Water Clean liquid detergent (92 oz/59 loads) and Tide Ultra Stain Release liquid detergent (92 oz/48 loads) are just $8.99 each at Target when you use the $3 off Tide PODS coupon. That’s just $0.15 per load for Tide Cold Water Clean or $0.19 per load for Tide Ultra Stain Release! Plus, if you buy two, you will get a FREE $5 gift card with pickup or Target Restock (select varieties only). Keep in mind that both Tide coupons are available at retailers nationwide, so you can use them anywhere that Tide is sold. Let me know if you find any great deals at your local store! Visit P&G Brandsaver now to print your $3 Tide PODS and/or $3 Tide Liquid Detergent coupon. If you haven’t already, you’ll need to create an account for Print-at-Home Coupons. Then make sure you visit your local retailer by 2/2 to redeem! I partnered with Tide to bring you this post, but all opinions are my own.